Sift the flour, sugar, baking powder, and buttermilk powder into a large mixing bowl. Cut the butter into the flour until it resembles coarse meal with pea-sized chunks. Slowly pour in liquid, covering as much of the butter and flour mixture as possible. Gently stir until it forms a ball. Pour out onto a well floured counter, and gently pat down into a 1 inch thick round. Using a biscuit cutter, cut straight down into the dough, and remove to a parchment-lined baking sheet immediately. Bake for about 15 minutes, or until the tops are golden brown. Let cool for 15-20 minutes. 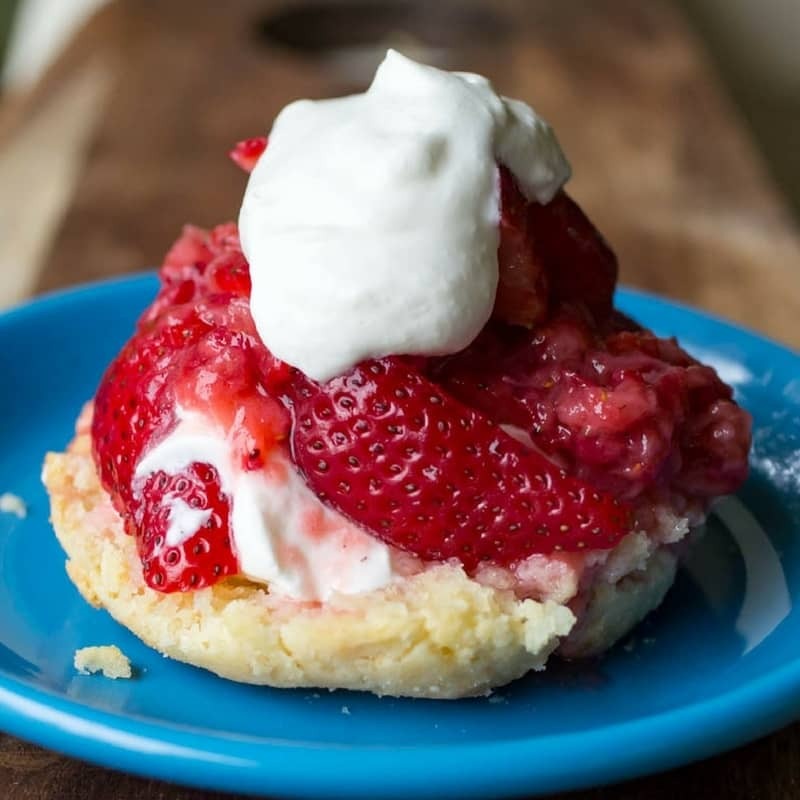 Serve with fresh strawberries, sweetened cream, and macerated strawberry sauce. 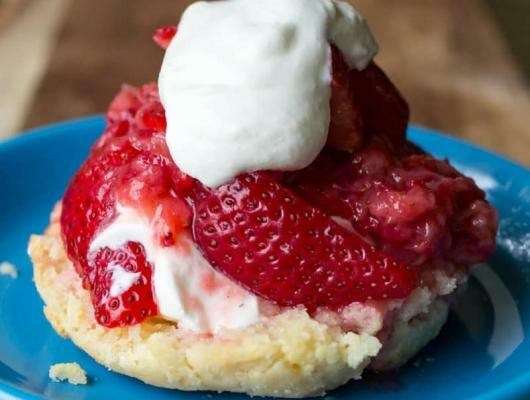 Strawberry Shortcake Biscuits are one of my favorite desserts, ever, and when you pair them with fresh, sweet berries? Amazing. A sweet sour cream whipped cream tops the fresh sliced strawberries and strawberry sauce, and a biscuit that is there to soak it all up.